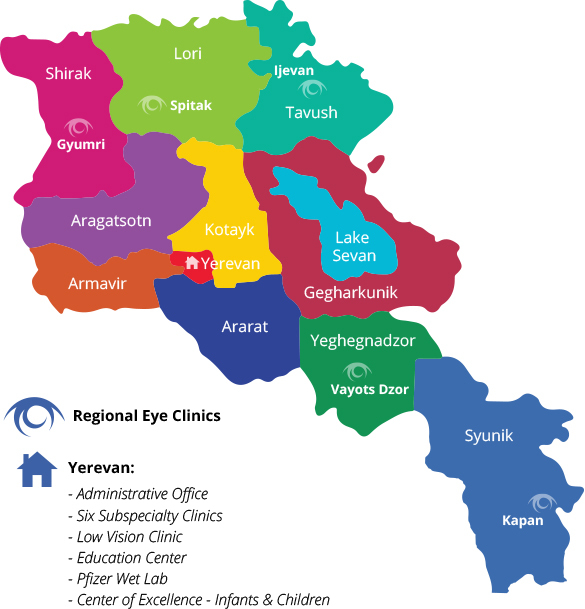 In 2016, the Armenian EyeCare Project noticed an incredible need for cornea transplants among patients in Armenia. Because of this need, we began a Cornea Transplant Program, asking donors to sponsor the surgery for those who needed it — a cost of $800 for one procedure. So far, over 70 Armenians have regained their sight through this program and there are many more on the waiting list. 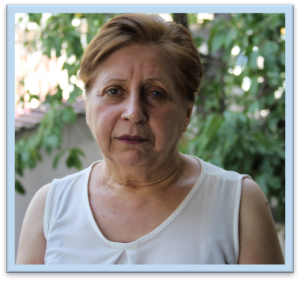 Below are the stories of three Armenians who have received cornea transplant surgery because of your support. Levon has experienced vision problems since childhood. By his 17th birthday, he had almost no vision in his left eye. “Three separate doctors examined my son’s vision but only the last ophthalmologist diagnosed him with keratoconus,” Levon’s father, Karen, said. Levon was prescribed medicine to stop the inflammation in his eye, but he continued to lose vision and experienced a great deal of pain — urging his family to seek further medical help. Luckily, the ophthalmologist they visited in Yerevan, Dr. Anna Hovakimyan, told Levon and his family about the AECP and its Cornea Transplant Program, which matches patients in need of cornea transplants with sponsors. Several months later, Levon underwent a cornea transplant through the AECP. About a year ago, Anahit was diagnosed with Acanthamoeba Keratitis, a rare disease that affects the corneal tissue and is typically caused by an incorrect use of contact lenses. Anahit had experienced vision problems her whole life and began wearing eyeglasses at an early age. A few years ago, she started wearing contacts because glasses became uncomfortable with her high degree of myopia. Due to the high cost of contact lenses, Anahit used each pair for longer than was recommended. One day, she started to notice that something was wrong with her left eye. Still, she held off on going to a doctor. “It was a difficult period for me. My husband had just passed away and I had no time or desire to visit the doctor,” she says. “But my eye condition continued to trouble me.” Soon, Anahit’s cornea turned white and she felt immense pain in her eye that wouldn’t go away. She finally visited the Malayan Ophthalmological Center in Yerevan, where she met with Dr. Anna Hovakimyan at the Corneal Uveitis Clinic. Dr. Hovakimyan told Anahit that if she continued to not treat the disease, she would soon become blind. Unable to afford the $800 cost for surgery, Anahit was at a loss for what to do. Then, she learned of the AECP and was soon after sponsored by a donor from California. “Without the support of the AECP and my sponsor I can’t even imagine what would have happened to me,” Anahit says. “My eye condition improves every day.” Anahit is even considering returning to her job, which she had quit due to her eye trouble and sees the possibility of tending once again to her favorite hobbies – knitting and sewing. Thanks to her recent transplant surgery and the donor who sponsored it, Anahit is on the road to living a more fulfilling life. For more than 13 years, Karlen was the breadwinner of his family. He worked at a construction company and provided for his wife and children. But in 2012, he was diagnosed with glaucoma in his right eye. He underwent three surgeries to improve his vision but his eye condition continued to worsen instead. What’s more, post-operation complications damaged the cornea of his right eye and soon he was also in need of a cornea transplant. The poor vision and recurring inflammation was painful for Karlen, but the most frustrating part was how unaffordable his medical expenses were becoming. “I have to administer four types of eye drops for myself every day. That accounts for the bulk of my family budget. I hope that a corneal transplantation will put an end to this,” Karlen said. Fortunately, Karlen’s hopes came true. He was able to receive a corneal transplant thanks to a donor who sponsored his surgery. 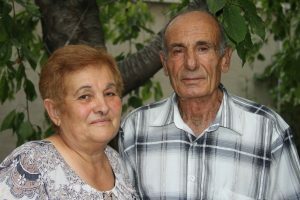 For more stories on patients in Armenia who have received cornea transplants through our program, visit our other blogs here, here and here. If you are interested in contributing to our Cornea Transplant Program and sponsoring a patient in Armenia to receive cornea transplant surgery, please donate or contact us. 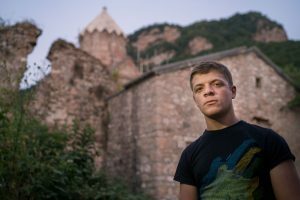 There are still many people in Armenia awaiting surgery.